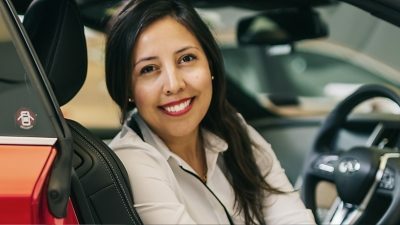 Partner with INFINITI to refine your automotive startup business. Then pitch to the professionals. The Integration programme is an accelerated track towards a potential synergy with INFINITI. By working closely with up and coming automotive and mobility startups, we help to refine and polish their idea, then help push it forwards. The Integration programme focuses on solving specific automotive and mobility challenges. 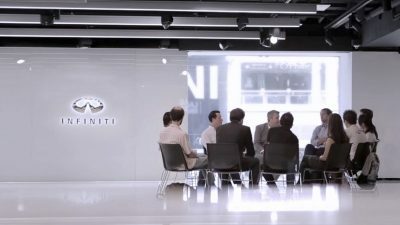 You will work with INFINITI mentors and have access to Nissan-Renault Alliance Connected Car & Mobility teams. At the end of the programme, your team will pitch a joint proof of concept project to INFINITI and Alliance key stakeholders. We brought seven promising internet of things (IoT) and connectivity mobility startups to Singapore for eight weeks of intensive mentorship and training. 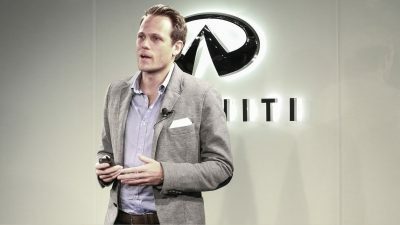 After consultation from business leaders, government and public sector experts, they were ready to pitch their business case to INFINITI’s senior decision makers for future collaboration. Pantonium is a software-focused startup that uses algorithms to optimise transport, as it autonomously blends fixed routes and flexible on-demand services in real-time. The result is a cost-effective and efficient mobility network. 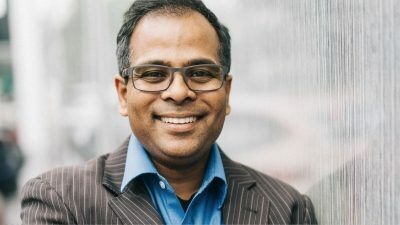 What type of startups does Integration focus on? 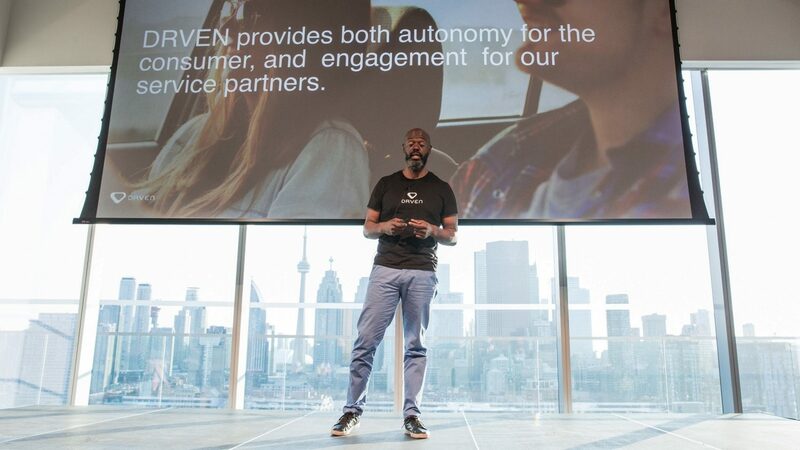 We want smart mobility and connectivity focused startups with a passion for innovation and an ability to deliver. We’ve found that both enterprise and consumer startups can benefit from our experts and global reach in the Integration programme. What stage of startups is Integration suited for? Companies that are through the ideation stage and have a functioning prototype or a product that is looking for validation in a commercial setting. The programme is also suited for a revenue-generating startup looking to scale into new high potential markets. How are the final companies chosen? What are the criteria? All companies who apply will be considered by the joint INFINITI and Nest vetting committee. The most suitable candidates will progress to a pitch day, where founders will pitch in person or virtually to a panel of judges. From this, the finalists will be selected to join the Integration programme. 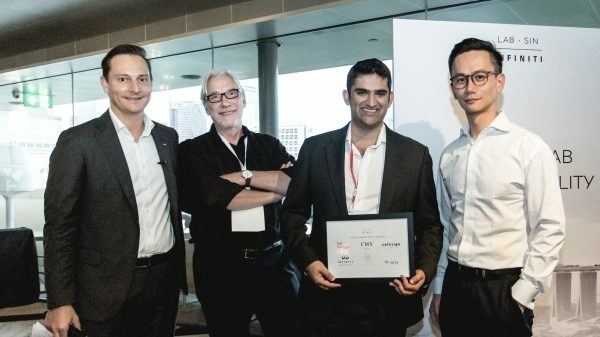 Startups and founders that can demonstrate the potential to work in synergy with INFINITI or help develop Singapore as a ‘Smart Nation’ will receive additional consideration. What role is INFINITI going to play in Integration and what commitment has been made? INFINITI is committed to empowering and supporting entrepreneurs and startups. The Integration programme will provide an accelerated track towards a potential proof of concept (POC) project with INFINITI. The programme culminates with an internal pitch to secure a pilot after refining the proposition and business over eight weeks. During the Integration programme, you will receive mentorship from carefully selected business leaders and entrepreneurs in the business to help you develop your solution, as well as open doors to strategic partners, investors and future customers. 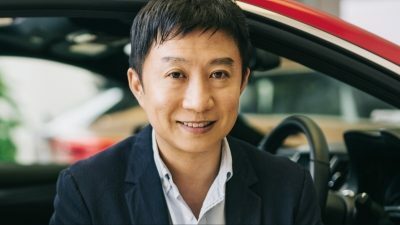 Will all the mentors come from INFINITI itself? No. Each of the startups will have a dedicated INFINITI mentor, which will be supplemented by mentors from Nest and their network of entrepreneurs, as well as business leaders throughout Asia. 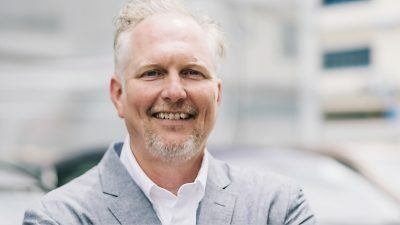 What if my company is not an expert at developing Smart Mobility solutions? We’re not looking for experts, just creative startups with a vision and inspiring ideas. 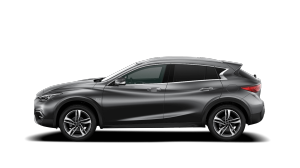 You’ll get access to INFINITI and Nissan’s experts in the field, as well as business support from Nest. All we ask is that you’re determined and capable of building your own solution, have the drive to make it happen, and are focused on the potential of your startup. No, just complete the online application once available. The deadlines for next year’s applications will be decided at a later date. Startups will be based in a co-working space to be determined at a later date. Yes, the Integration programme will arrange and cover your accommodation costs for the duration of the programme, as well as one set of return flights to and from your home country. Do companies have to be onsite for the entire programme period? Yes. We recommend that you’re onsite as much as possible during the programme. The more immersed you are, the more you’ll gain. Anyone from anywhere can apply. If you’re accepted, you’ll need to have a legal right to be in Singapore. INFINITI/Nest may be able to provide working visas for successful companies for the duration of the programme. If this isn’t possible, we can put you in touch with agencies and services that can help you with visas and immigration, but we can only do this once you’ve been accepted into the programme. We encourage you to start this process as early as possible. Following the internal pitch to INFINITI key stakeholders, we will arrange for a final Demo Day. This will be an invitation only Demo Day for you to pitch to a wider audience for external partnerships and funding. What will a typical day be like for an Integration programme participant? We’re pleased to say there’s no such thing as a typical day. Throughout the programme, you can expect to be guided by INFINITI and Nest mentors, as well as have access to venture capitalists, CEOs, innovators and industry visionaries. 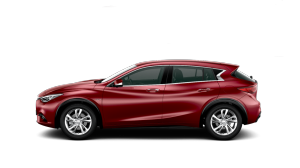 INFINITI shall be invited to participate, without any obligation, to any fundraising event, unless the equity investment by the company creates a conflict of interest to the business or INFINITI itself. What guarantees can INFINITI make to companies that get into the programme? INFINITI will support companies that are accepted by providing mentors, visibility and engagement around business opportunities that emerge from this programme. You’ll also have the collective resources of Nest, both during the programme and afterwards. No, there are no guarantees. It’s entirely at INFINITI’s discretion as to whether a participating company’s product or service is taken on and endorsed by INFINITI. Is there an equity stake component for participation in the programme? Neither Nest nor INFINITI will take equity in exchange for your participation. The programme is entirely free for participants, and through it, startups will have an ongoing relationship with Nest's VC arm. 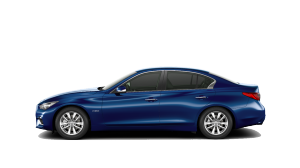 Nest or INFINITI may choose to invest in your startup during or after the programme if we jointly feel that Nest and/or INFINITI can add significant value to your business. Nest maintains an ongoing relationship with founders and continues to make introductions to investors after the programme. How can participants receive funding after Smart Mobility Singapore ends? You’ll have the opportunity to showcase your products and services at Demo Day, where a range of potential investors, which may include venture capitalists and influential industry leaders, will see your proposition and listen to your pitch. Nest maintains an ongoing relationship with founders and continues to make introductions to investors after the programme. 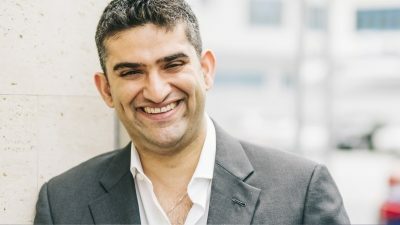 NEST is a global venture capital firm and innovation partner that supports collaboration between the world’s most prestigious and established organisations and early-stage companies. 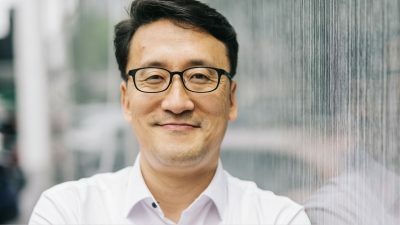 Nest operated INFINITI’s first two Smart Cities acceleration programmes in Hong Kong and has a strong track record working with organisations including AIA, DBS and OCBC to run programmes in FinTech and HealthTech. Nest has strategically built a network spanning both developed and frontier markets to maximise the opportunities for startups to connect with the global ecosystem. Headquartered in Hong Kong, Nest now has representation in Singapore, Bangkok, Nairobi, Paris, London and New York. 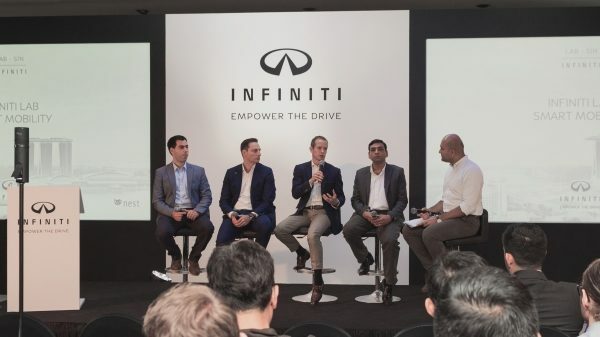 Smart Mobility Singapore was a joint effort between Nest and INFINITI. Future Integration programmes will be run by a dedicated team to help bring innovative business ideas to market. 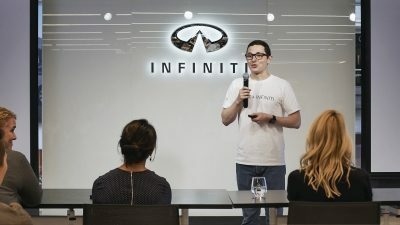 INFINITI has teamed up with Nest to run its model of mentorship, accelerated, intense development and world-class demo days.